The Department of Architecture used to host a Beaux Arts Ball in the 1940s and 1950s. The College of Design rekindled it in 1999 to celebrate the college’s 20th anniversary. Check out articles from Designnews 1999 (p. 10) and 2000 (p. 33) to read more about the Beaux Arts Balls from those years. The Graduate Students in Architecture currently host a Beaux Arts ball in the spring for members, friends and faculty. The Beaux Arts Ball originated from an annual ball called the Bal des Quat’z’Arts held by students of the École of Beaux-Arts in Paris in the spring from the 1890s. The Beaux Arts Ball came to New York City in the 1920s and was used by the Beaux-Arts Institute of Design as a fundraiser. Since then a variety of organizations have used the ball as a fundraiser or fun activity for its members. Watch this video on YouTube to learn more about the history of the Beaux Arts Ball. Stop by the reading room to see more photographs from Beaux Arts Balls in the past or other fun activities hosted by Iowa State student organizations. We’re open Monday-Friday 10-4. 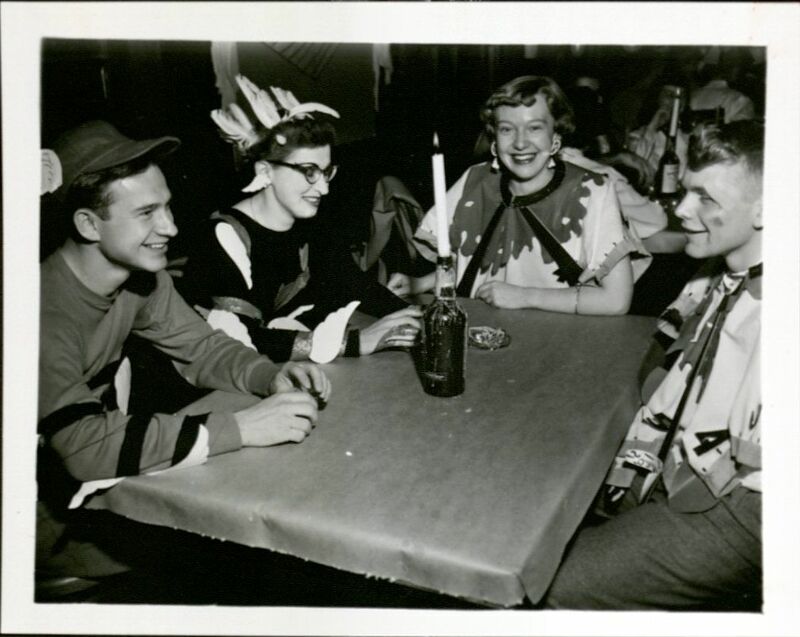 This entry was posted in Collections, University Archives and tagged #TBT, ISU students, photographs. Bookmark the permalink.